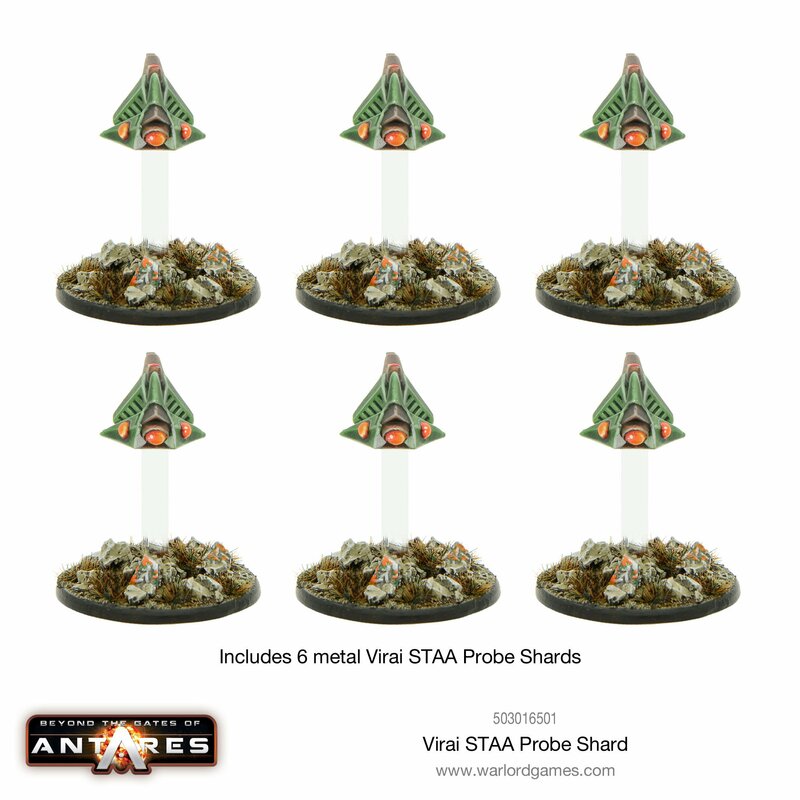 Warlord Games haben nachgelegt und weitere Virai in ihren Shop aufgenommen. 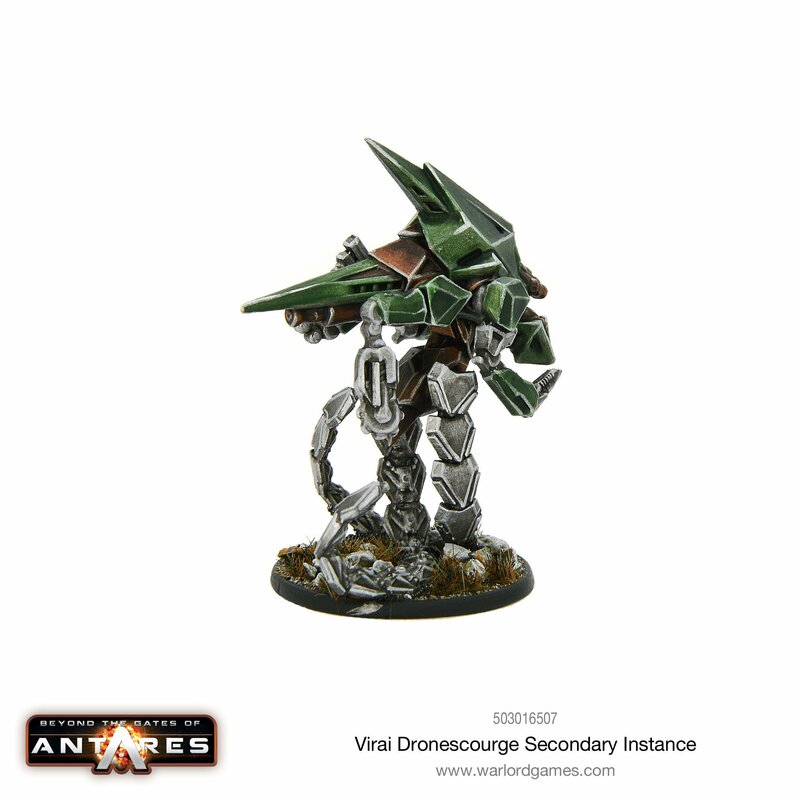 The Virai Dronescourge are a species of artificial life, drones with machine intelligences conforming to a strict, hierarchical structure. 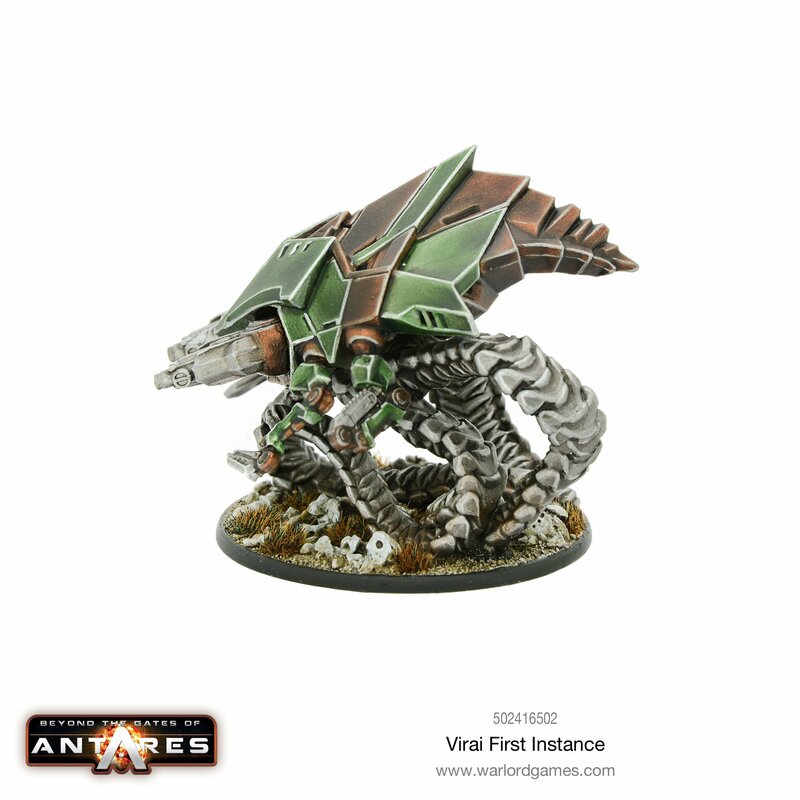 They are feared by all Antarean nations due to their purposeful disregard for both biological life and integrated, cooperative intelligences such as the IMTel. 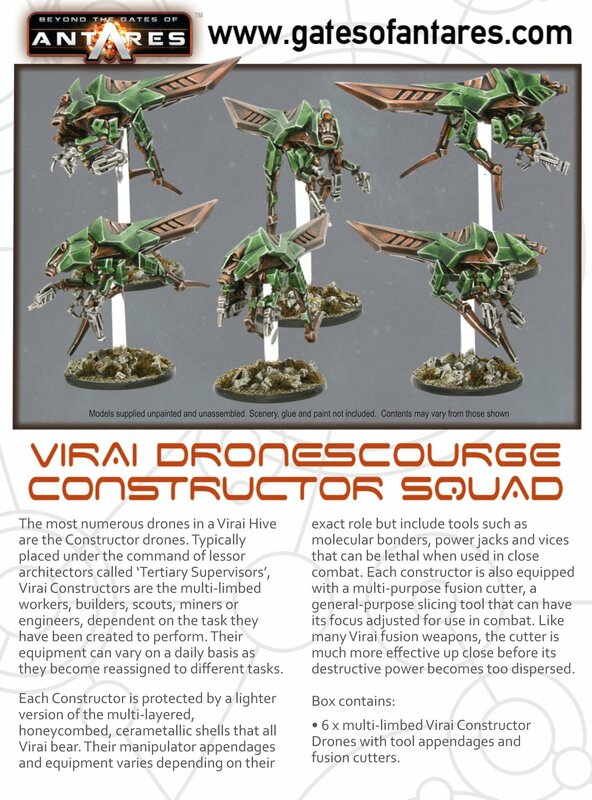 Their leaders are specialised drones called architectors, and the Virai First Instance is the sole commander of a Dronescourge Hive. Each First Instance has comprehensive data cores holding the memories of all of its predecessors. 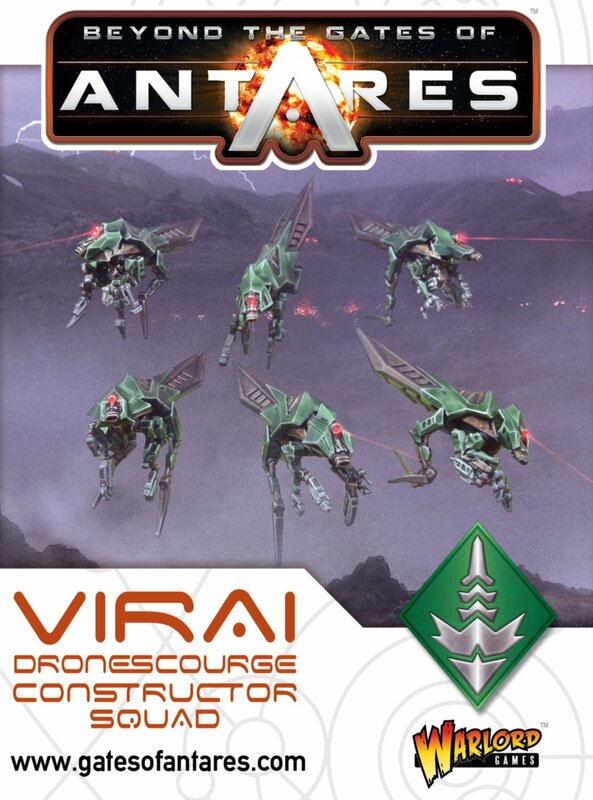 Amongst the memories are blueprints for all the drones, weapons, tools and machinery a Hive could possibly need dependent on what resources it can mine or scavenge. 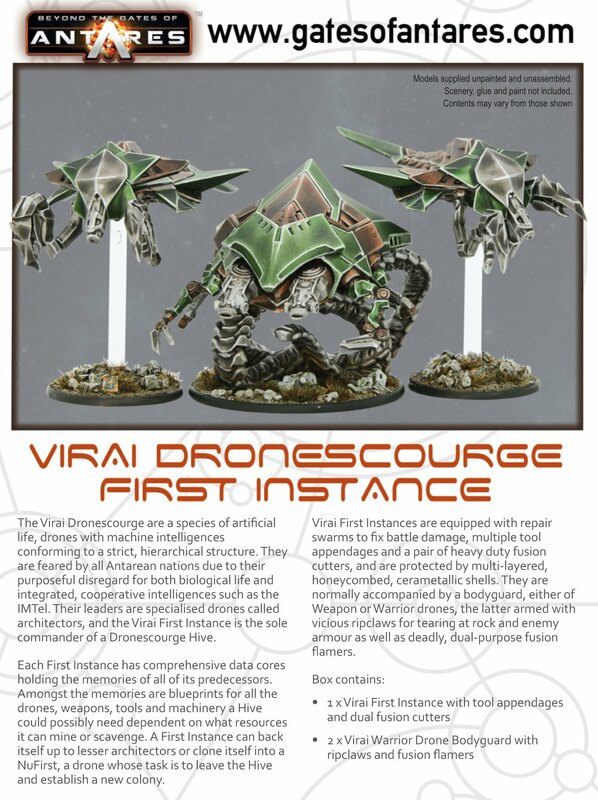 A First Instance can back itself up to lesser architectors or clone itself into a NuFirst, a drone whose task is to leave the Hive and establish a new colony. 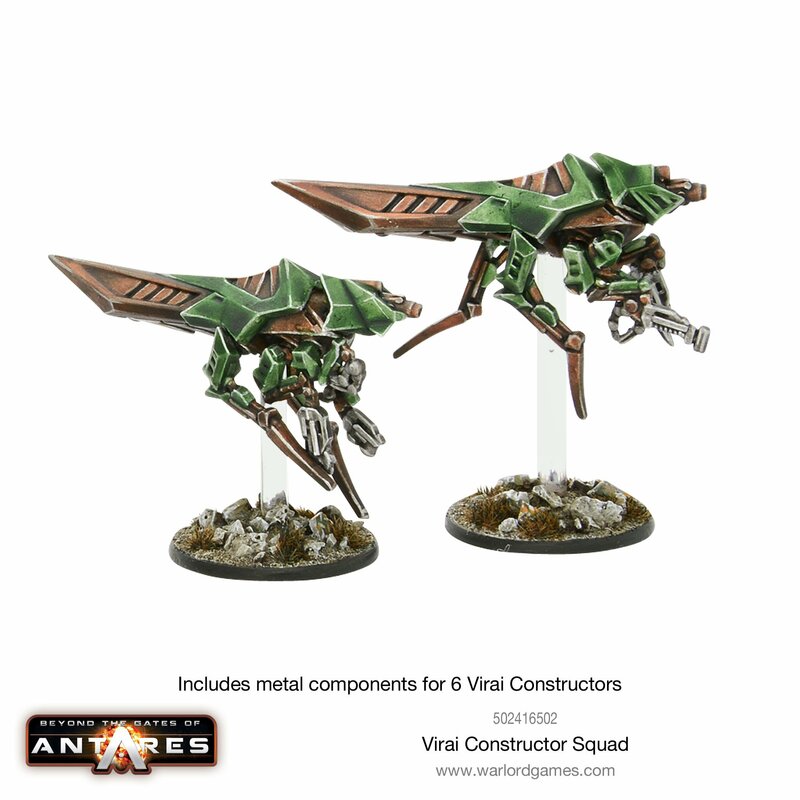 Virai First Instances are equipped with repair swarms to fix battle damage, multiple tool appendages and a pair of heavy duty fusion cutters, and are protected by multi-layered, honeycombed, cerametallic shells. 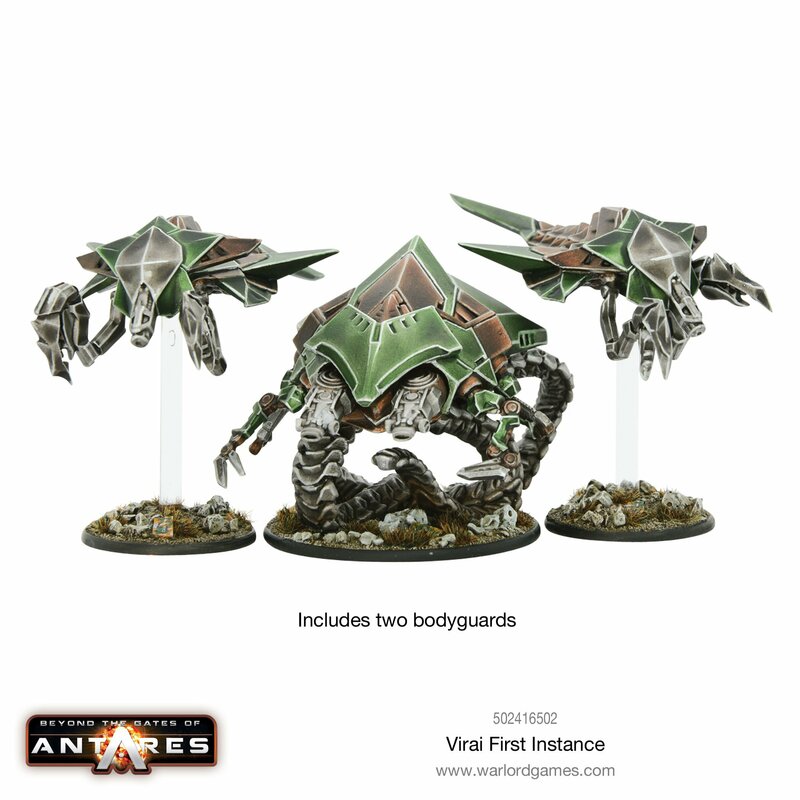 They are normally accompanied by a bodyguard, either of Weapon or Warrior drones, the latter armed with vicious ripclaws for tearing at rock and enemy armour as well as deadly, dual-purpose fusion flamers. This is the main support weapon carried by Virai warrior drones and appears to be little more than a number of fusion flamers combined into a single, multi-barrelled unit. 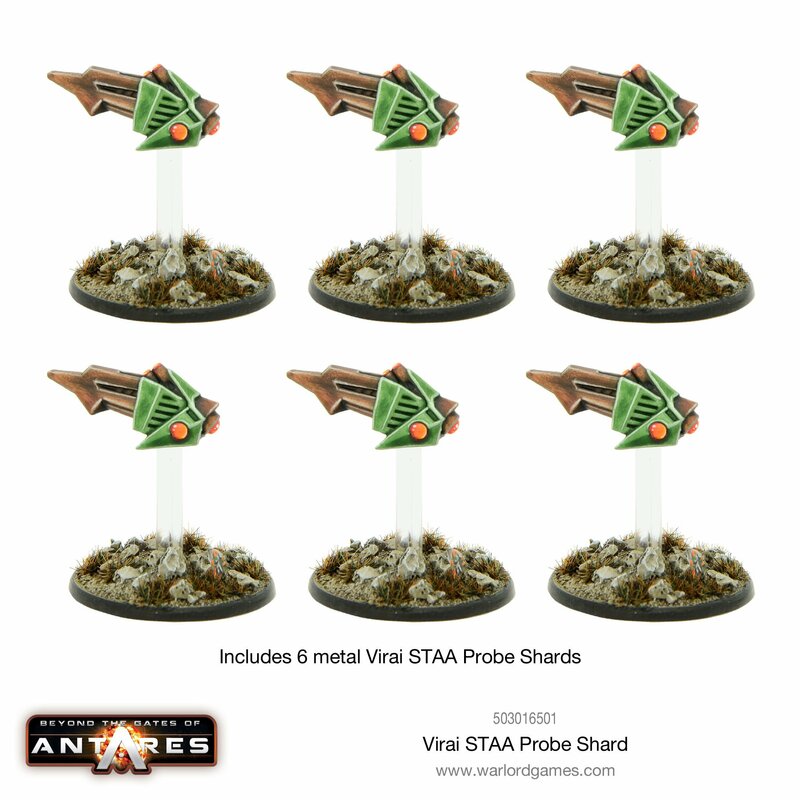 Though relatively portable and normally carried by a single Viria warrior, it has significant energy requirements. 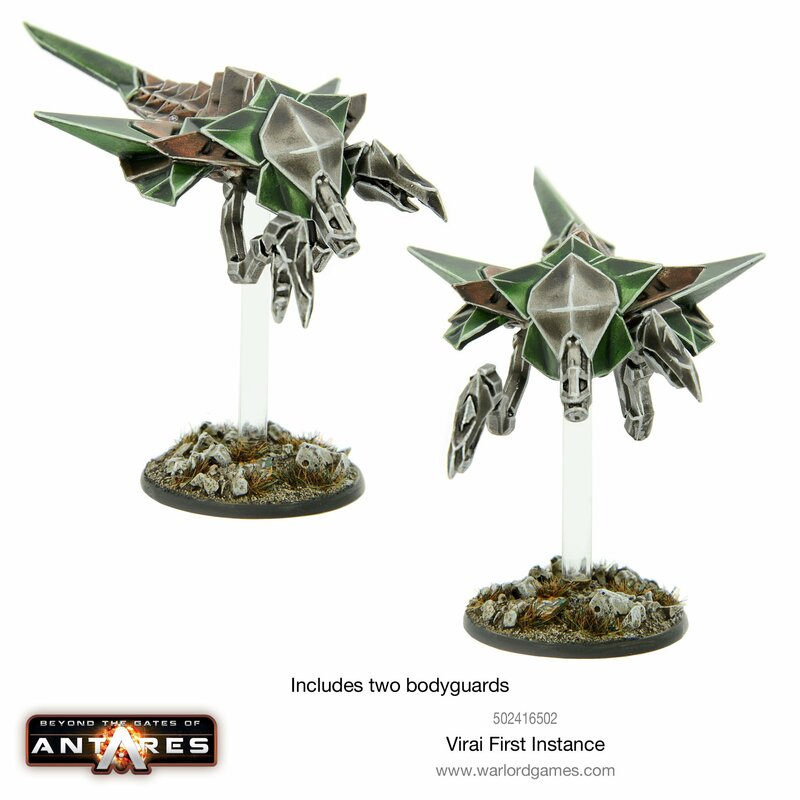 As a result, components from a second viral are required to provide adequate energy to power the weapon. 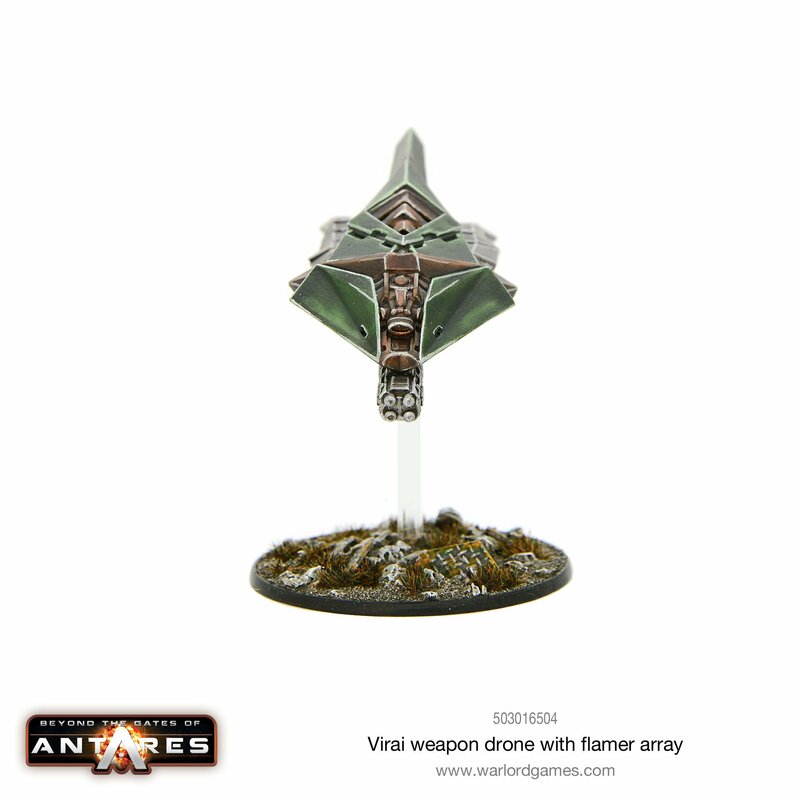 The flamer array has two modes of operation: stutter mode, in which each individual flamer is effectively fired separately, and focused mode in which the individual flamers are combined into a single pulse. 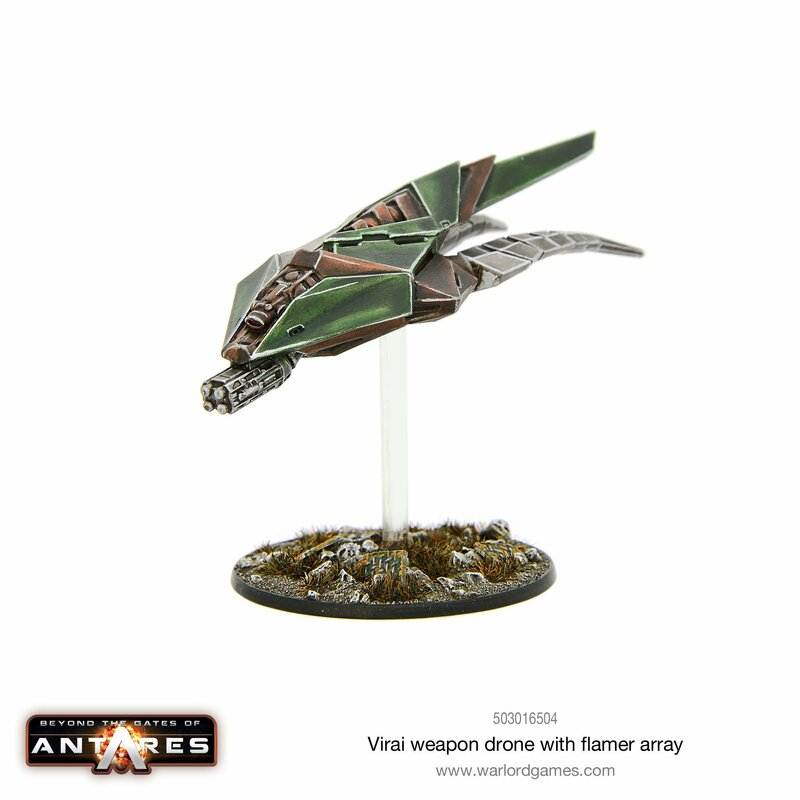 With its focused power, the single pulse has a slightly longer range than the individual flamers but is still outranged by the more advanced weaponry of the advanced, human factions. 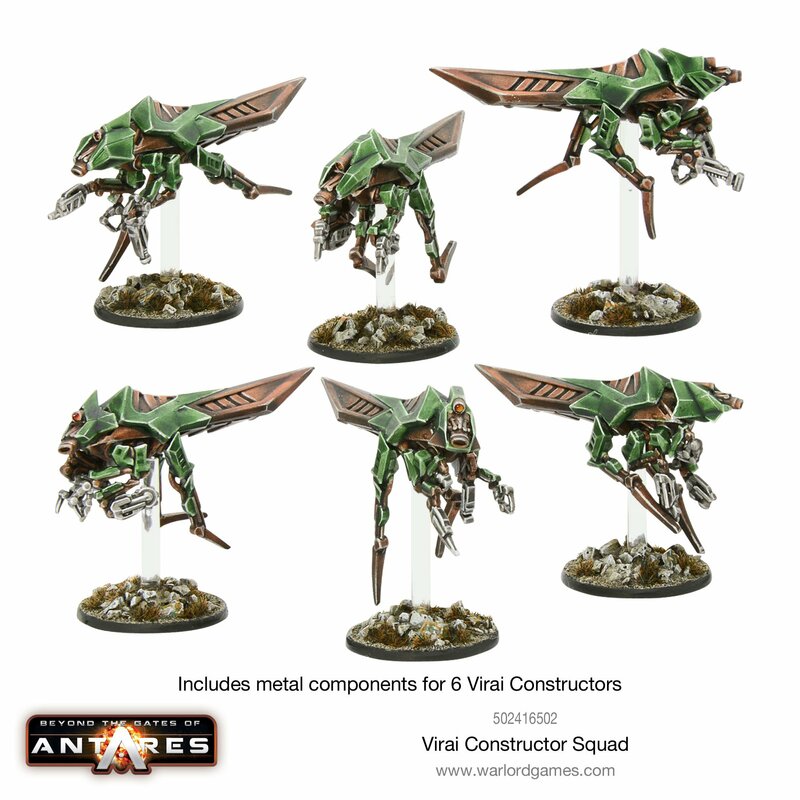 The most numerous drones in a Virai Hive are the Constructor drones. 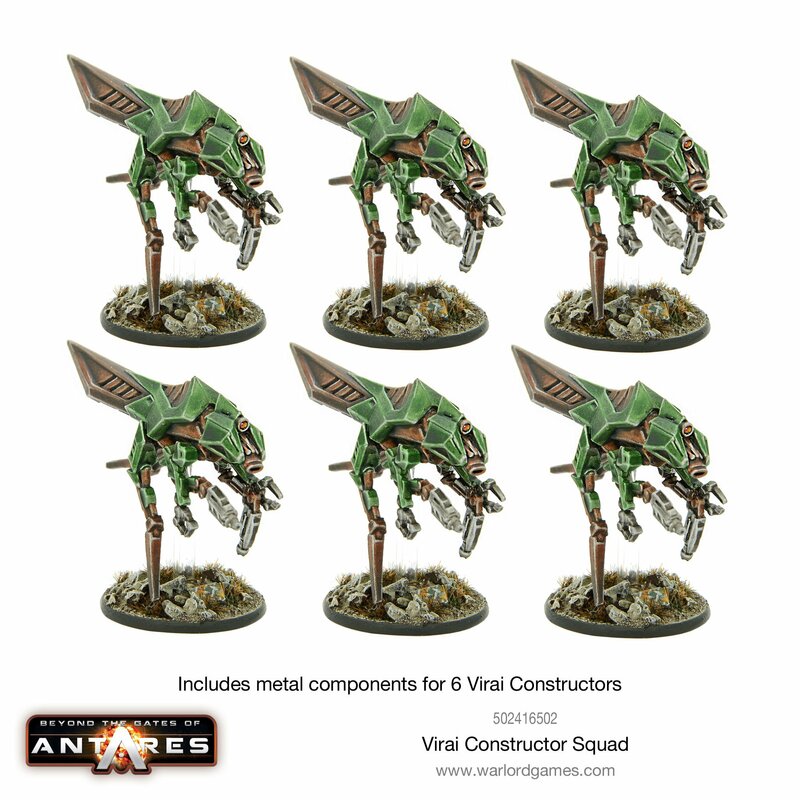 Typically placed under the command of lessor architectors called ‘Tertiary Supervisors’, Virai Constructors are the multi-limbed workers, builders, scouts, miners or engineers, dependent on the task they have been created to perform. 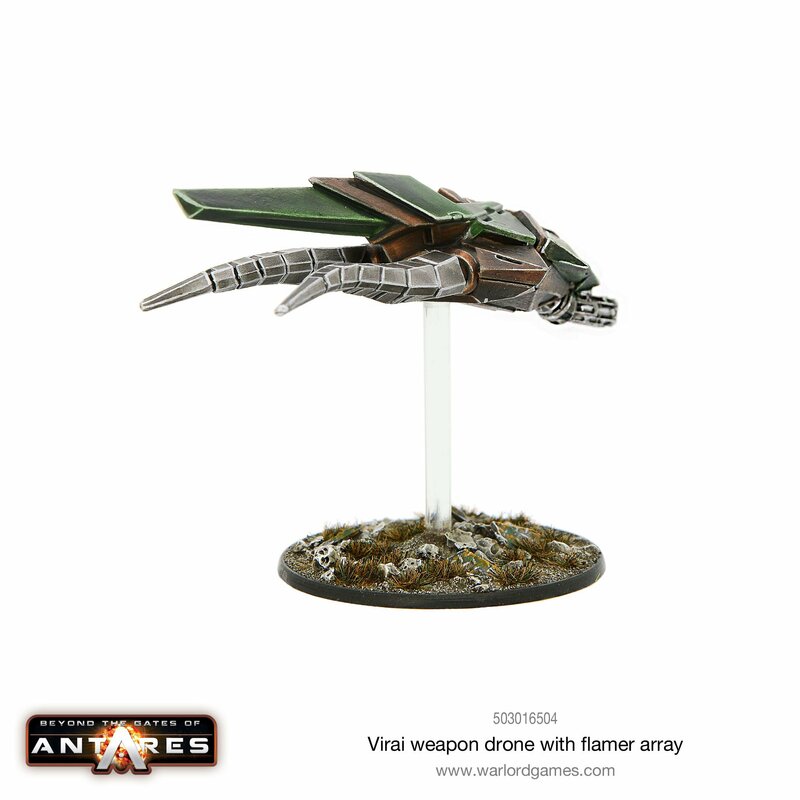 Their equipment can vary on a daily basis as they become reassigned to different tasks. 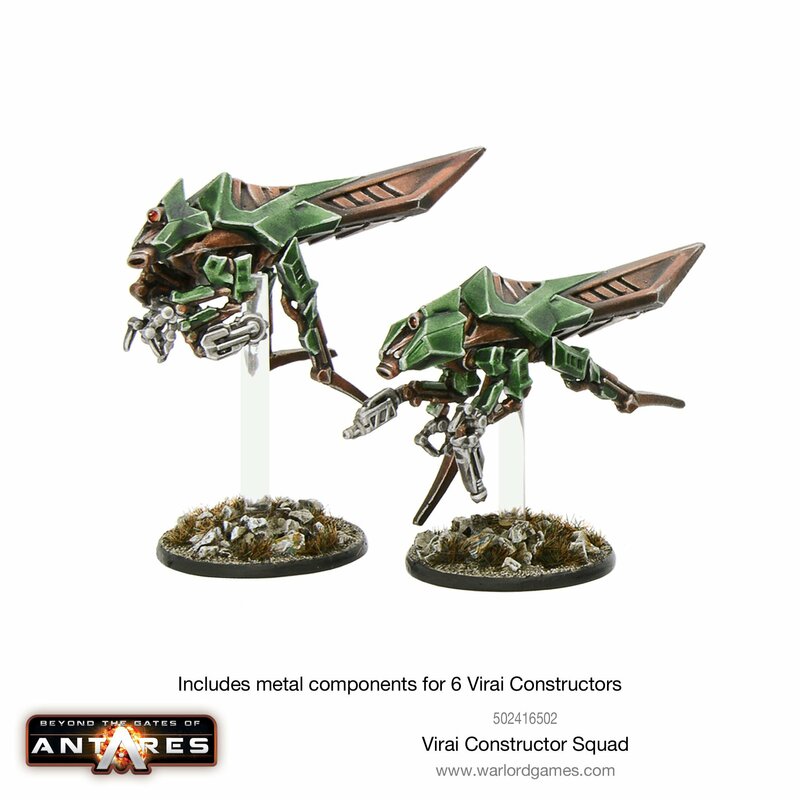 Each Constructor is protected by a lighter version of the multi-layered, honeycombed, cerametallic shells that all Virai bear. 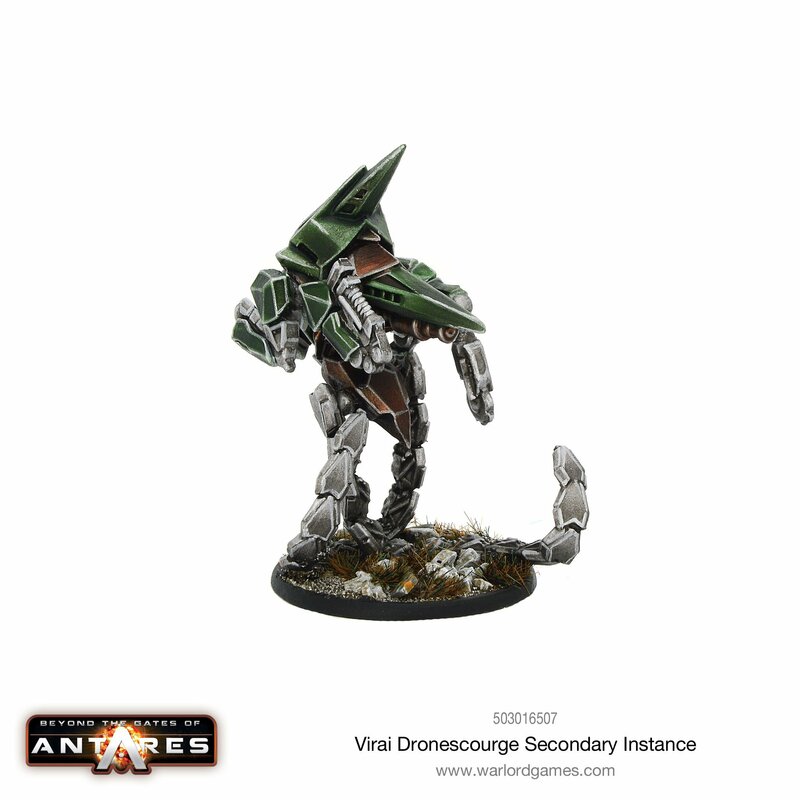 Their manipulator appendages and equipment varies depending on their exact role but include tools such as molecular bonders, power jacks and vices that can be lethal when used in close combat. 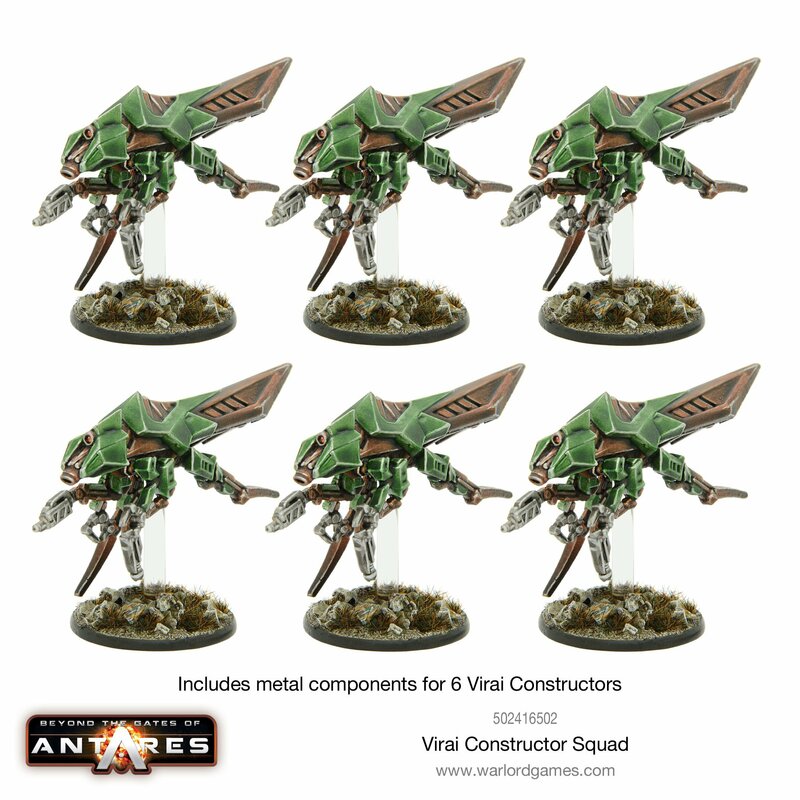 Each constructor is also equipped with a multi-purpose fusion cutter, a general-purpose slicing tool that can have its focus adjusted for use in combat. 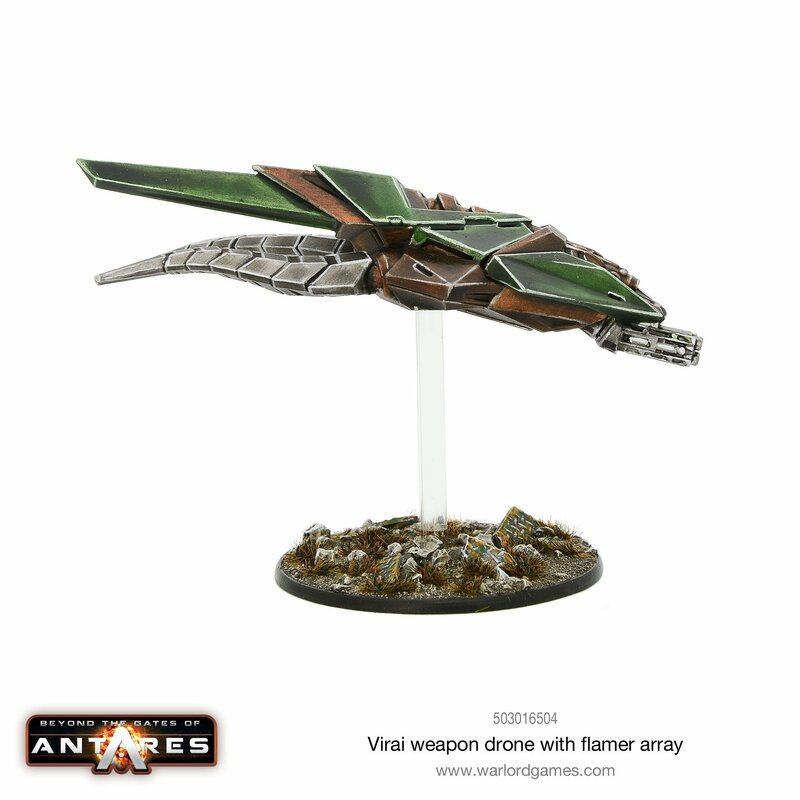 Like many Virai fusion weapons, the cutter is much more effective up close before its destructive power becomes too dispersed. 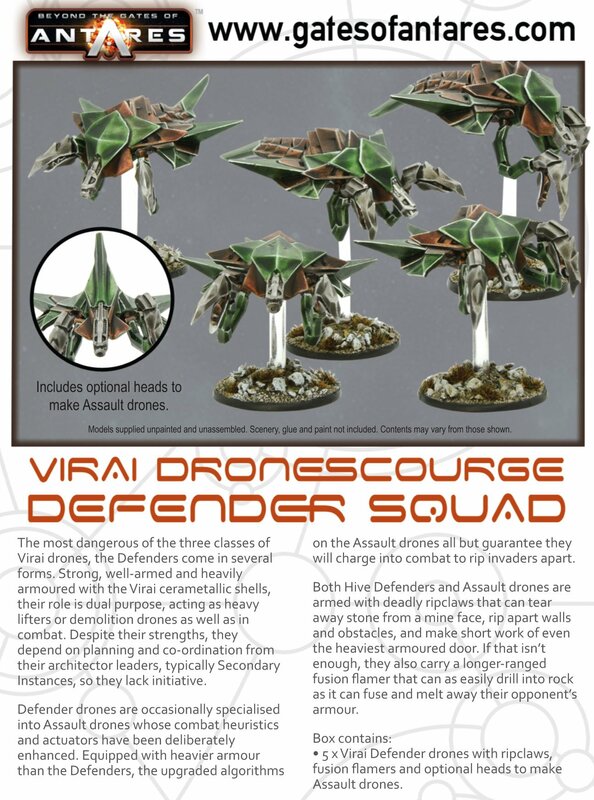 Virai drones are occasionally equipped with enhanced sensors and additional targeting algorithms so they can act in a fashion similar to targeter probes used by the more advanced Antarean factions. 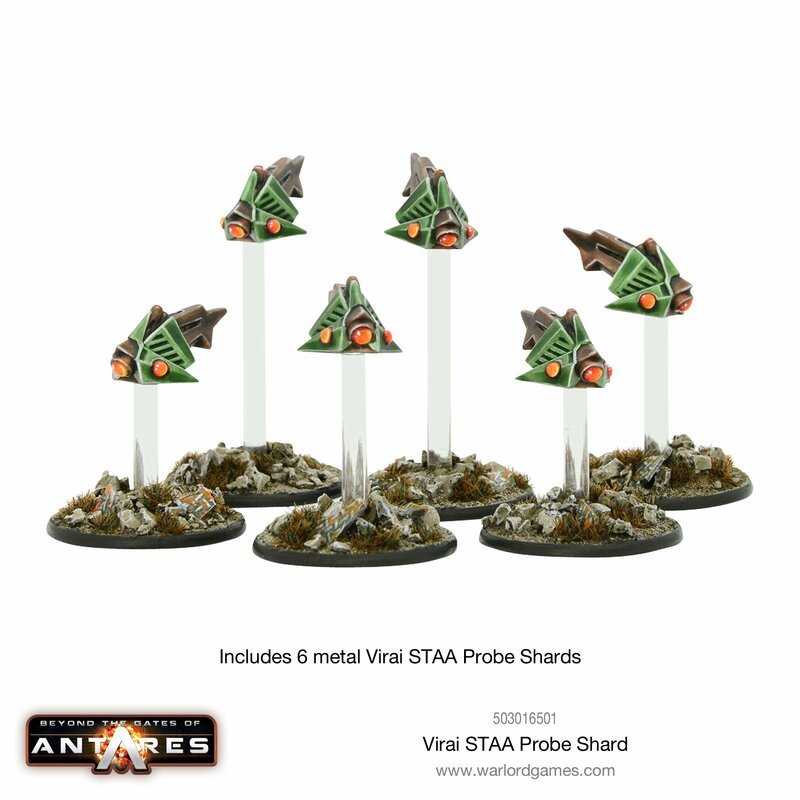 Using their targeting sensors, Virai STAA probes gather a broad range of target acquisition data which is then fed into the swarm’s shared target acquisition algorithms (STAA). 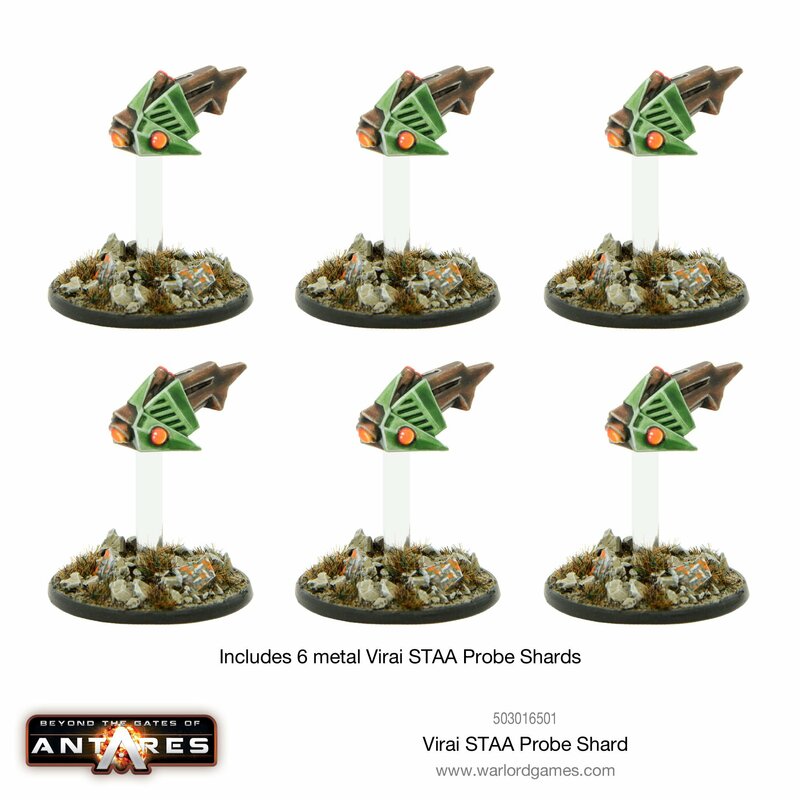 Such success can be short-lived, however, as battlefield conditions change. 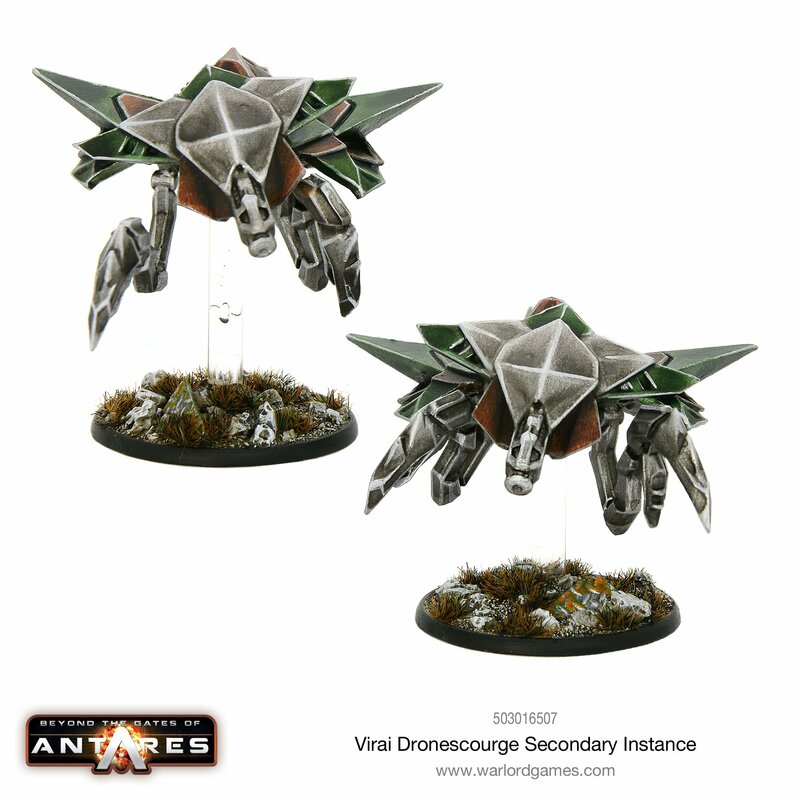 The command drones most often seen leading a Virai combat group are the Secondary Instance architectors. 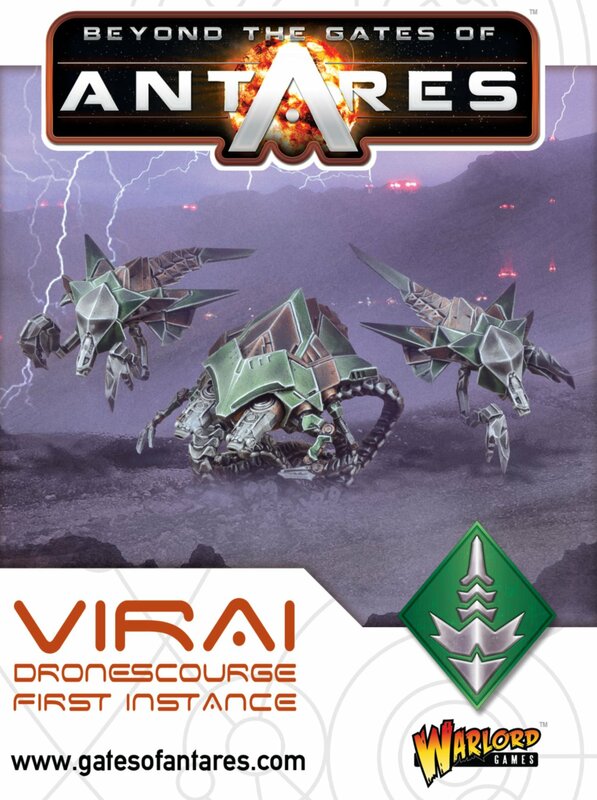 The First Instance delegates distinct responsibilities to a number of secondary instances such as mining, scavenging, defense, invasion, construction or manufacturing, and then leaves each secondary to construct the tertiary’s and other drones it needs. 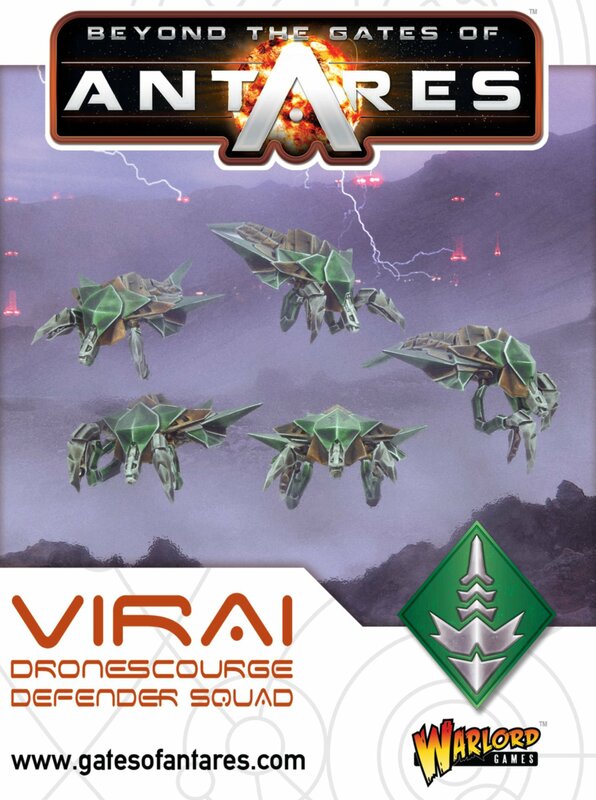 To manage the inherent weakness of the Virai drone categories, a number of secondary instance architectors are required in each force to provide command and control as well as to provide auxiliary services such as field repairs. 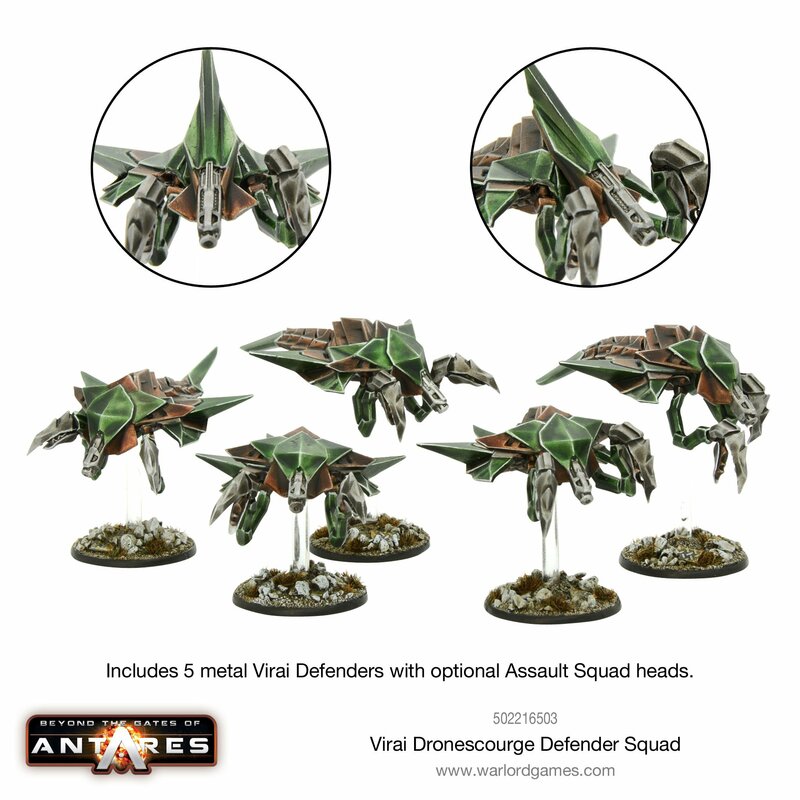 The most dangerous of the three classes of Virai drones, the Defenders come in several forms. 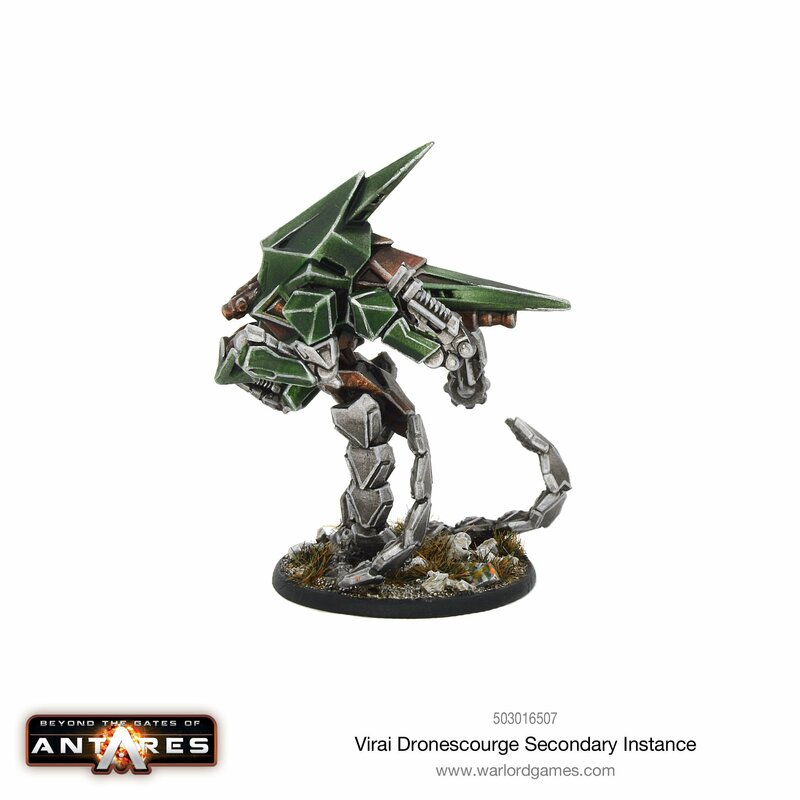 Strong, well-armed and heavily armoured with the Virai cerametallic shells, their role is dual purpose, acting as heavy lifters or demolition drones as well as in combat. Despite their strengths, they depend on planning and coordination from their architector leaders, typically Secondary Instances, so they lack initiative. 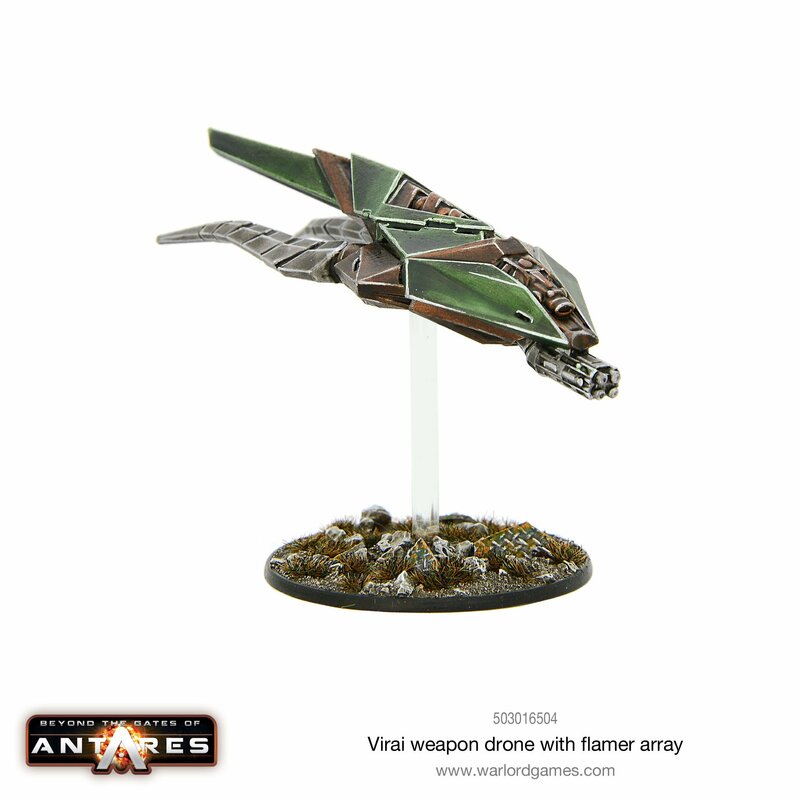 Defender drones are occasionally specialised into Assault drones whose combat heuristics and actuators have been deliberately enhanced. 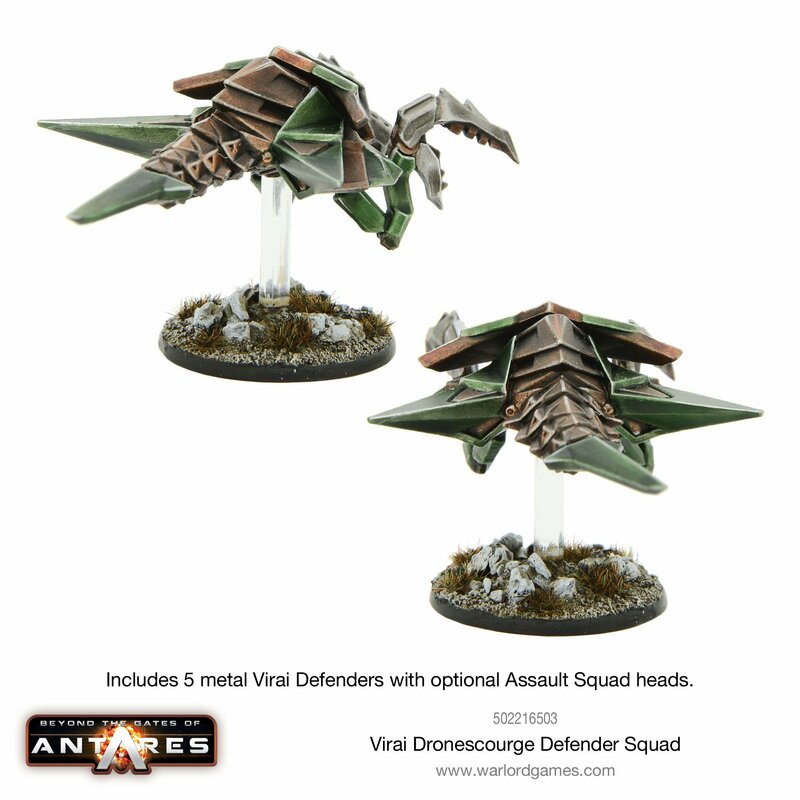 Equipped with heavier armour than the Defenders, the upgraded algorithms on the Assault drones all but guarantee they will charge into combat to rip invaders apart. 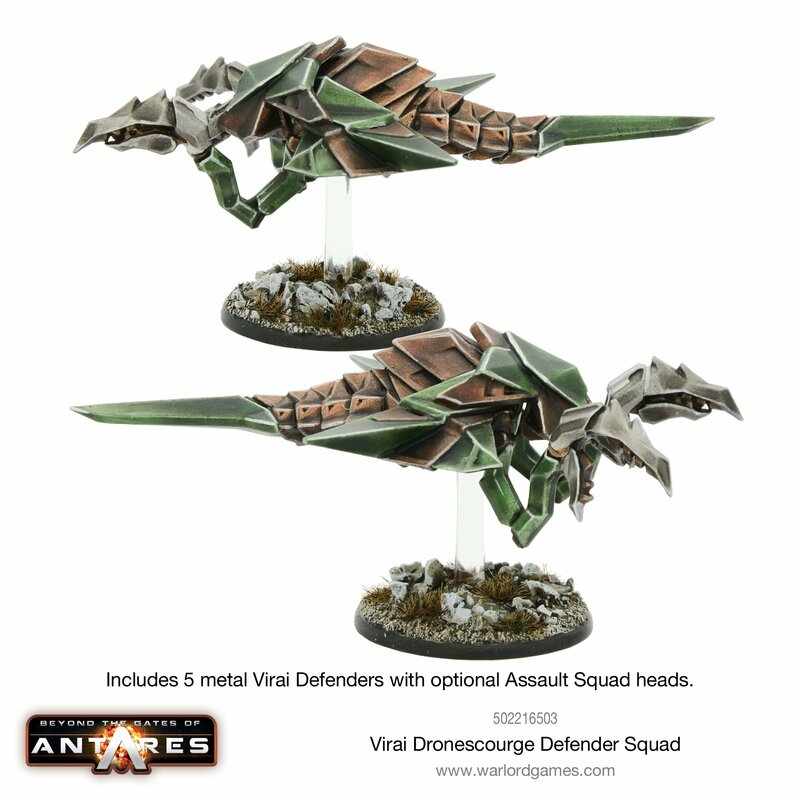 Both the Virai Dronescourge Defender Squad, and the Assault drones variants, are armed with deadly rip claws that can tear away the stone from a mine face, rip apart walls and obstacles, and make short work of even the heaviest armoured door. 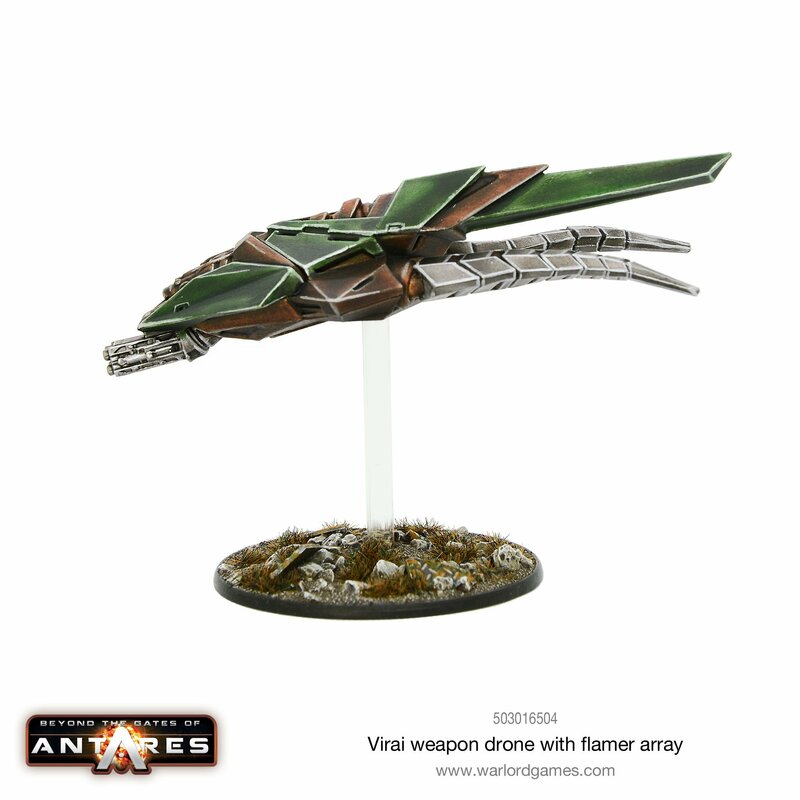 If that isn’t enough, they also carry a longer-ranged fusion flamer that can as easily drill into a rock as it can fuse and melt away their opponent’s armour. 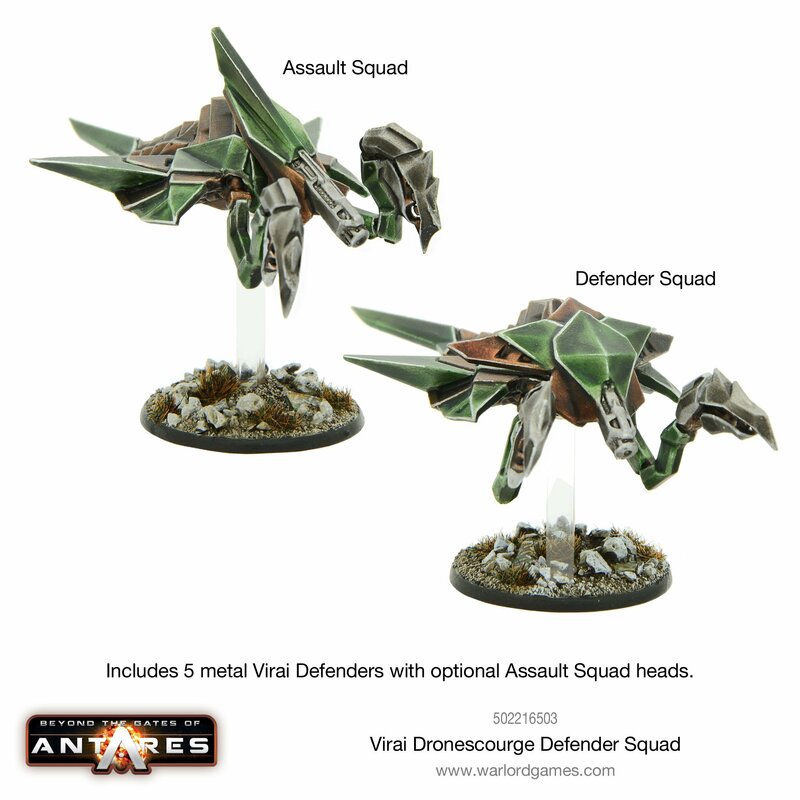 5 metal Defenders with Hive and assault drone head variants. Sie wissen zu gefallen und der Virai First Instance bekommt man ein Gefühl der Bewegung.